From what it looks like, this should be a very interesting way of expanding on the world previously established. The action, the music and the violence all work amazingly in this trailer. Can't wait to see it. 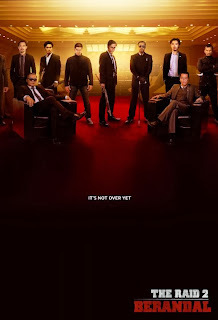 THE RAID 2: BERANDAL is directed by Gareth Evans and stars Iko Uwais. It will have its world premiere during the Sundance Film Festival.